After a terribly brutal summer with record high temperatures and record low rain, I am SO READY for fall in the Pacific Northwest. While the leaves are already turning, I suspect it might be due to lack of water so I'm not getting my hopes up too high. The last few years, fall didn't really feel like it started until mid October - which seems so. far. away. So in protest of the hot weather, the kids and I stayed inside out of the wildfire smoke had some fall inspired crafting this afternoon! 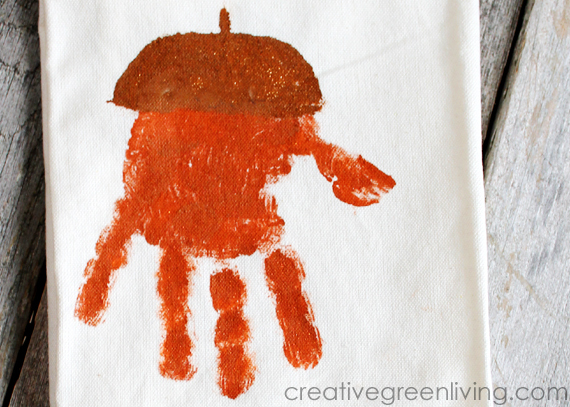 We made handprint acorns stamped onto kitchen towels. I think they are super cute. And it was the second craft I'd made with baby A. His hand is so tiny and precious I want to remember it this size forever - what a great way! Some of the links in my supply lists may be affiliate links. You will need to use a lighter color for the bottom part of the acorn and a darker color for the top. 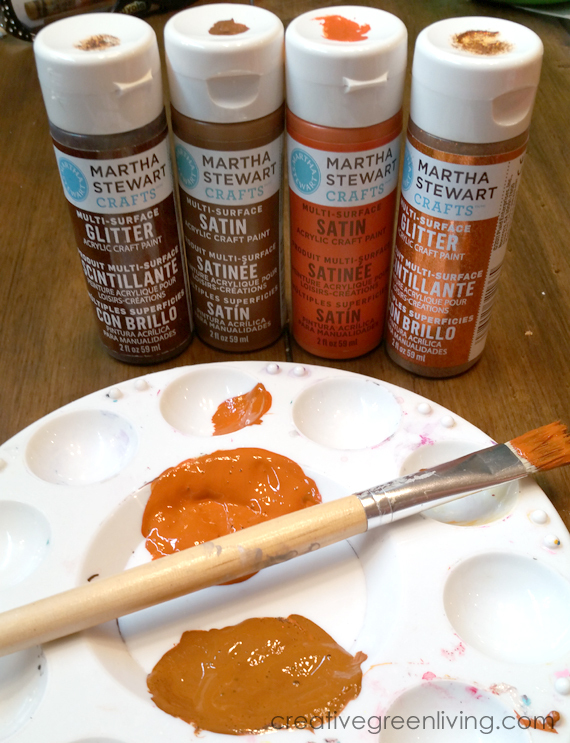 To get my lighter color, I mixed Adobo satin finish paint with Fire Opal glitter finish paint and just a touch of Chestnut Brown satin finish paint(from Martha Stewart's acrylic craft paint line - these are my favorite!). To get the dark color, I mixed Chestnut Brown satin finish paint with some Brownstone glitter finish paint. Before doing handprints, be sure to have your kids wash their hands. If they have dry skin, have them use a tiny dab of lotion so that their skin in hydrated and not sucking all the moisture out of the paint. 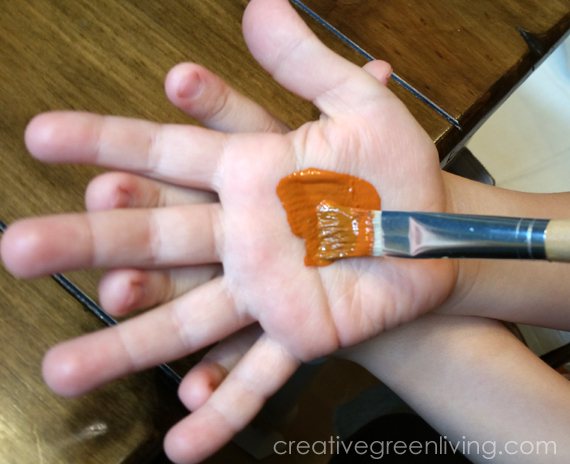 Use the wide brush to paint the lighter color over the bottom of their hand. Place the towel on a piece or cardboard or some scrap paper in case the paint seeps through the towel. Have them stamp their hand onto the towel. 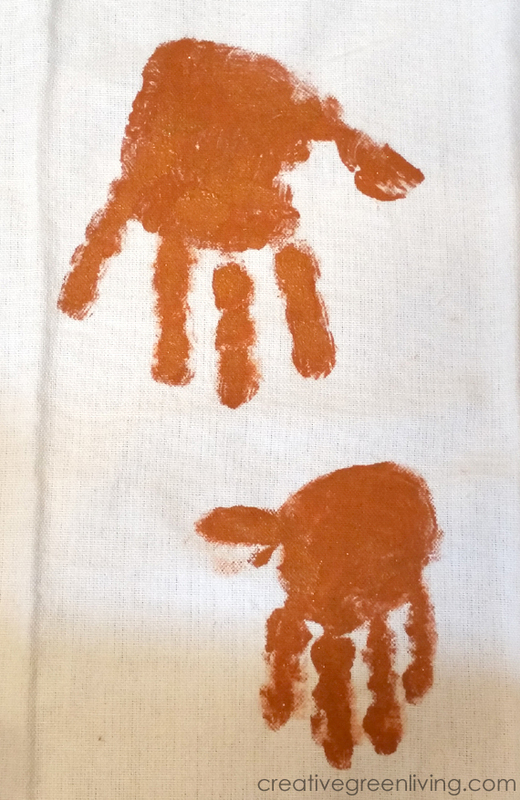 You can help by pushing down on their hand and fingers to make sure every part of their handprint makes it to the towel. Hold the towel down as you help them peel their hand up. 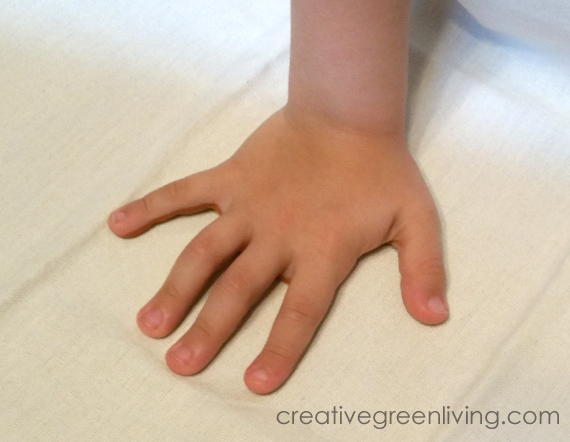 Help your kiddo wash his hand off and then repeat this step with any other kiddos. In my case, I only have two kiddos. 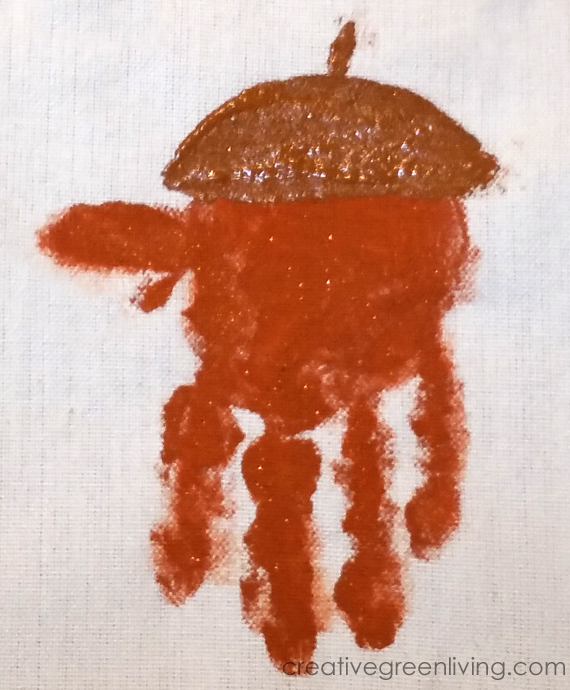 Use a paintbrush and your darker color of paint to paint half circle caps and a little stem on the top of each hand to make an acorn. 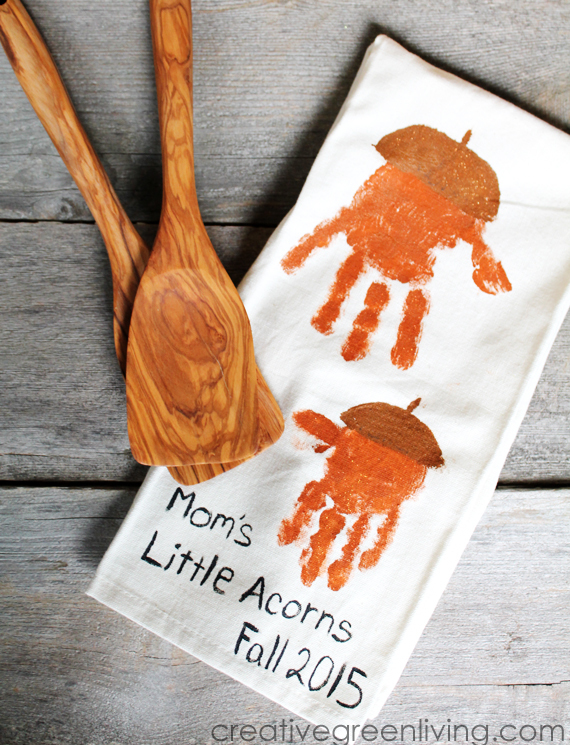 If desired, use the Tulip soft paint and a fine point paintbrush to write the kids' names on the top of their acorn. 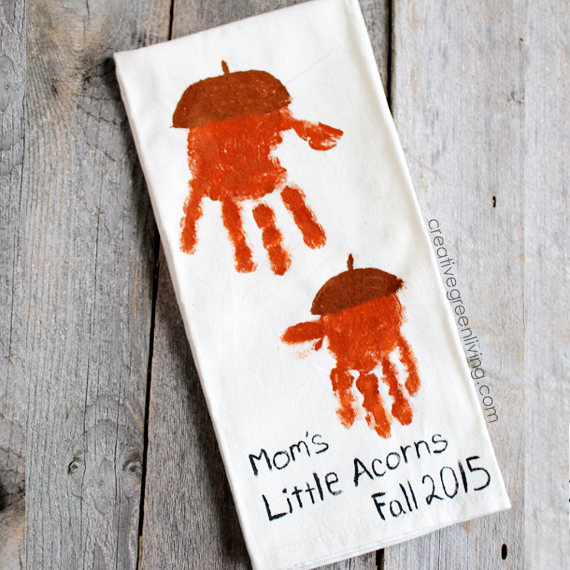 You can also write "Mom's Little Acorns" and the date at the bottom of the towel as well. 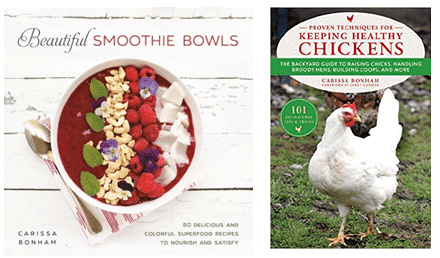 Looking for more fall crafts? 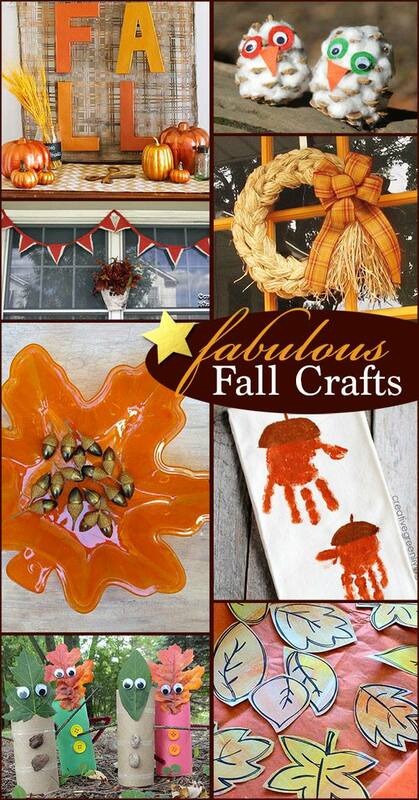 Here is a great collection of fall crafts from some of my other blogging friends. 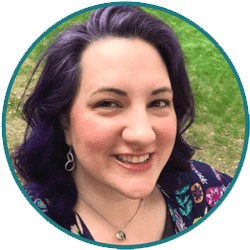 Take a peek!